A quick heads up for Thomas Pynchon fans. 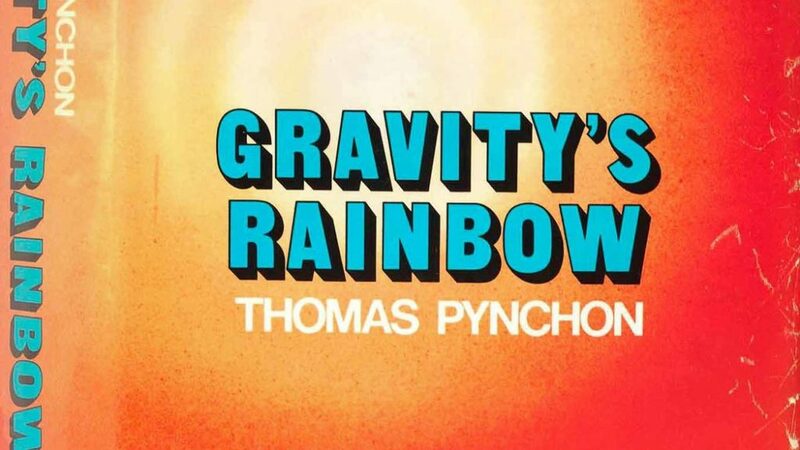 Four decades after its publication, you can finally get Gravity’s Rainbow as an audio book -- possibly even as a free audio book. According to The New York Times, "Since the mid-1980s, a George Guidall recording [of the 1973 novel] has been floating around, like some mythical lost rocket part — no one had heard it, but all Pynchon fans knew someone who knew someone who had — but in October a new version, authorized and rerecorded... — hit the stands." The new release, which runs 40 hours and 1 minute, is also narrated by Guidall. It's available on Audible.com. (Hear an audio sample below.) And there's a way to get it for free. As we've mentioned before, Audible lets you download an audio book for free if you sign up for their 30-Day Free Trial. And even if you decide to cancel the trial, you can still keep the audio book and pay no money. That said, I dig Audible's subscription service, as I've spelled out before, precisely because you can get big long audio books for a really reasonable price. Learn more about the Free Trial program here, and to get Gravity's Rainbow, simply click here and then click the "Try Audible Free" link on the right side of the page. NB: Audible is an Amazon.com subsidiary, and we're a member of their affiliate program. weird, a recording from cassette has been up on pirate bay for over a year. could that be the mysterious mythical version? I would assume so Jason, but that recording had so many pops and skips I pretty much gave up on it after 30 minutes.